In many industries, companies seek to improve their manufacturing and product development and have to go through many regulatory reforms to do so. They require them to adopt quality systems standards which reduce risk. Testing and quality activities conducted in laboratories have documented vulnerabilities. The most common causes of error are in the pre-preanalytical and post-analytical phases of the testing process. These include possible errors with order entries, various sample collection errors and inappropriate handling or storage, as well as incorrect interpretation or delayed reaction to laboratory reporting. Laboratories can sometimes struggle to implement even the subtlest changes in policy or practice because it makes the overall performance prone to failures. It’s essential to identify risks in a lab’s testing process and work on preventing them. Laboratories usually deal with this through a traditionally-oriented QC approach, but that’s not always effective. Laboratories aren’t free from having to address all aspects of a corporate quality management system. It’s necessary for them to maintain standard operating procedures and implement control measures that can identify potential risks to the system. ISO 15189 guides laboratories when it comes to technical and quality requirements. Laboratories must be able to record performance data and audit the results of the system, among other things. Correction and prevention of any issues that might arise from using closed-loop processes to document procedures are also paramount. A risk management plan is crucial for the lab’s quality management plan. Each laboratory can incorporate technical requirements for testing processes into its quality management system differently. Therefore, it’s important to understand how these work to assess the effectiveness of a laboratory approach to risk management. The litmus test for this is the lab’s ability to match its planned objectives to its actual activities. If a laboratory’s execution of its TTP, IQCP or QC plan employs risk-based thinking, that’s a useful approach. In assessing and managing risk, laboratories need to keep track of all the various testing scenarios and outcomes. Once labs can understand their planning and confirm it, they’ll know which measures they need to take to deal with an unwanted result. A risk-management solution that integrates with the lab’s existing QMS could be quite useful. With it, labs could capture, communicate and address all their risk-related documentation and activities. Learning to prevent risk issues is essential. Laboratories need to be able to track risk management issues and manage their risk reporting system efficiently. Empower your lab staff to make smarter and safer risk-related decisions by using the risk-management software. 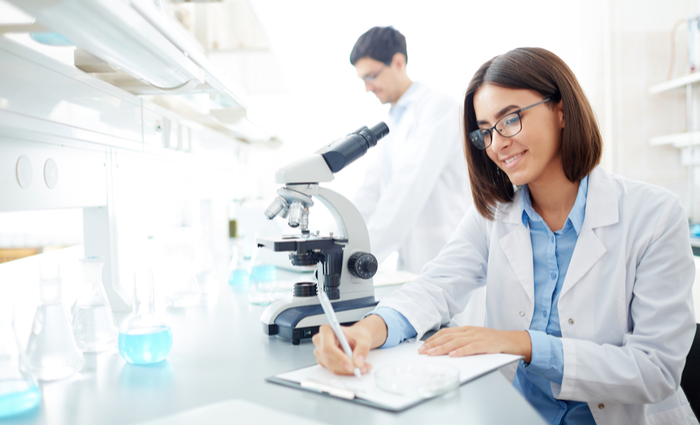 A standardized system that can fit your unique requirements can be valuable for all aspects of a laboratory’s testing and quality management plan.